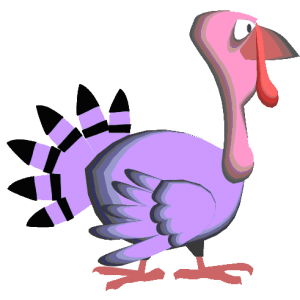 You are here: Home / General Information / Animals Today November 10, 2018: Thanksgiving eats for pets: What’s ok? Turkey traditions and the Presidency. Incredible animal adaptations. In search of cruelty-free automobiles. Then, inspired by an incredible video about high-flying Himalayan geese, Peter and Lori present some of their most favorite, novel physical adaptations in the animal kingdom. They cover geckos, sloths, giant tubeworms and more. In the final segment, learn about the use of shock wave sensors to protect elephants from poachers and robot drone falcons to deter live birds from airports. Lori concludes the show on a search for cruelty-free automobiles. It ain’t easy!